Those that regularly follow my adventures on this blog know that I am all about free places to camp and lesser known places to explore. How have I driven past (literally within a half mile) the free Liberty Campground for all of my life without checking it out is a mystery. 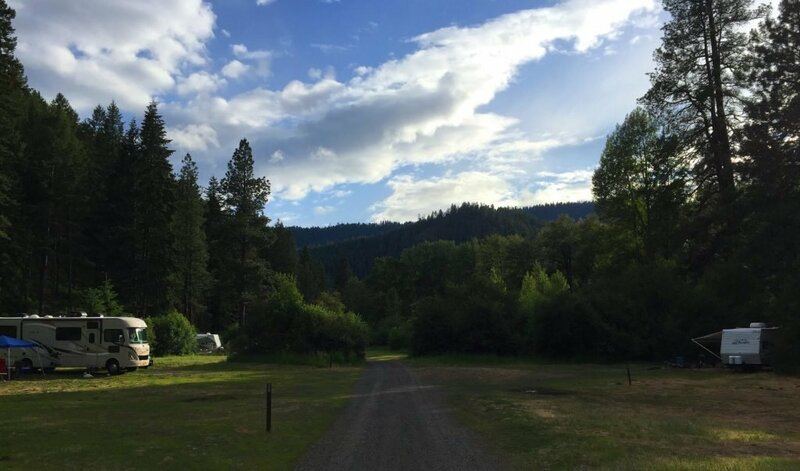 The campground is named after the sleepy little former mining hamlet of Liberty, Washington. 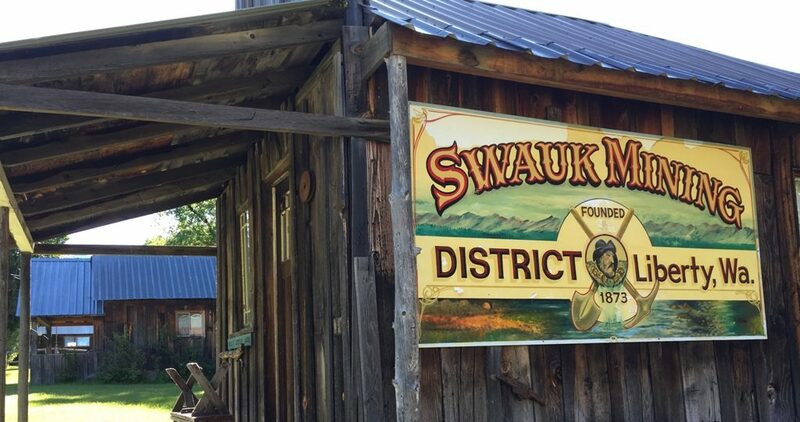 The town was founded in 1873 after the discovery of gold on Williams Creek and prospered for many decades as the yellow metal was extracted from the gravels of Williams and nearby Swauk Creeks. After a bucket gold dredge removed the balance of the easily obtainable gold, residents moved on and the town became a ghost of its former self with the town being added to the National Register of Historic Places in 1974. Today many of the old buildings have been fixed up and are occupied by residents either full time or as a vacation property and some gold is still being mined in the area. 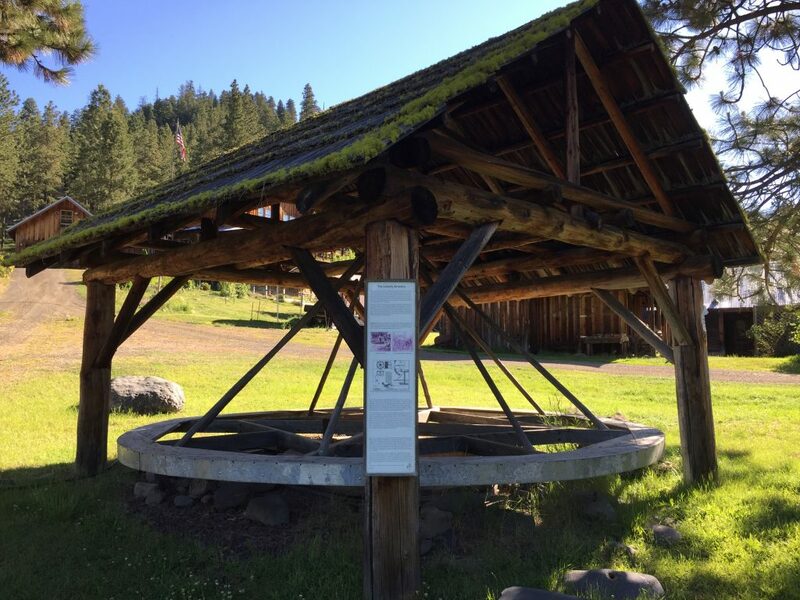 Many people (RVers included) come to photograph the historic buildings and view the interpretive panels and displays of rusting mining equipment from the town’s heyday. One of the interpretive panels highlights the rare crystalline gold that is found in the area along with photos of some of the larger gold nuggets that were discovered. As I mentioned, I have driven US Highway 97 for most of my life and until recently never knew this campground existed, even once I learned of its existence, it took me several more years to actually locate it and camp there. It has become a bit easier to find the location now that the BLM (Bureau of Land Management) has installed a sign denoting the recreation area, but knowing where to camp is still a bit of a challenge given the unsigned entrances to the camping areas. In a short distance, you will encounter the BLM’s “Liberty Recreation Area” sign. The next right will take you into the north half of the campground on the north side of Williams Creek. The access and spaces on this half of the campground are not big rig friendly so continue on Pine Gulch Road crossing over Williams Creek via a culvert to the next right turn at N47° 14.753 W120° 40.848 marked as Forest Service Road 205 (pictured). 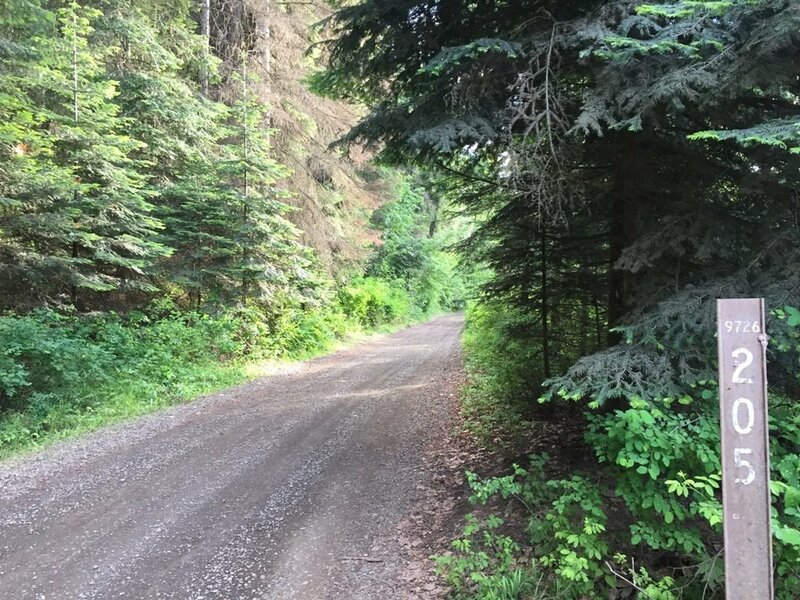 While there is no sign indicating that a campground exists down this narrow road, you will encounter the first of many spacious campsites in approximately 250 feet. As of this writing, there are no overnight fees associated with this campground or the number of RVs permitted in one camping space. If you choose not to drive your RV into the town of Liberty, it can be reached via a mile walk from the campground. Discovering a free campground near a historic point of interest, my kind of adventure in RVing! The problem with showing everyone the neat places on the internet is that they become over crowded.